The Purple Scarf: P.s! : April Sun & May Fun! 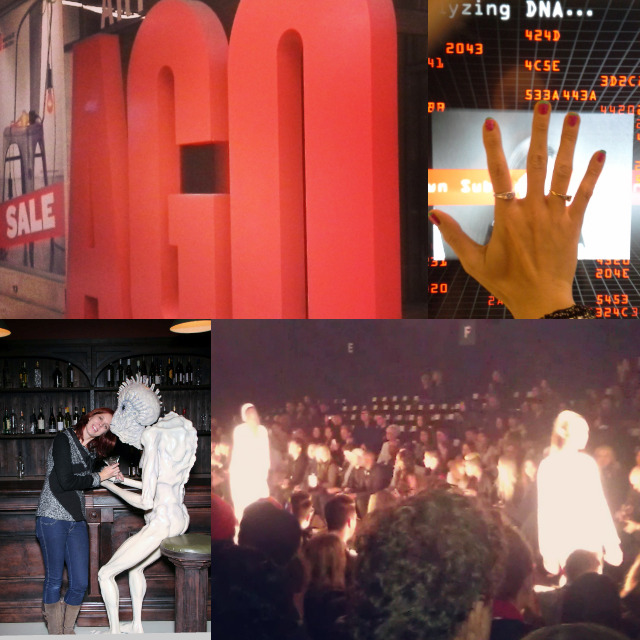 It feels like it was just yesterday that I was writing March's blog roundup, but here I am 30 days later writing another roundup post! April was such an interesting month. I had some great and not-so great moments. I'm staying on my healthy lifestyle journey and having fun exploring Toronto. I had a death in my extended family, which has made me reevaluate some of my family relationships. I also started to pick up some freelance work as a Social Media Specialist and guest blogger, so my life is getting pretty hectic! 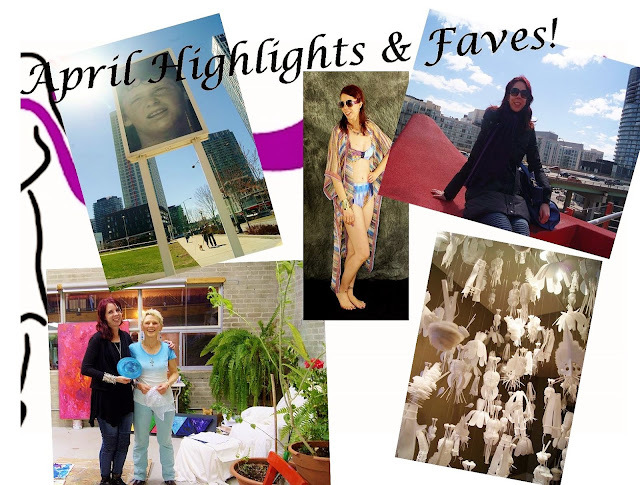 Some of my favourite moments from April had to be taking the time to explore Toronto which included joining my first MOCCA-organized Art Walking Tour. I was introduced to a lot of public art in the city and was reacquainted with Canoe Landing Park, one of my favourite outdoor spaces in Toronto. I also met the extraordinary Candace Wilson and was privileged enough to take home one of her original Chakra healing paintings. I have to admit that ever since I hung her painting near my home work station, I have felt more invigorated and excited about my blog. I also posted my very first swimsuit Style Post! I was so nervous about putting those pictures up for all to see but I had some amazing feedback and I just love the swimsuit! I'm feeling really excited and slightly overwhelmed about all that is happening in May! The first weekend is the Jane's Walk Festival, which if you love walking tours like me, you will really enjoy! Walking tours are a great way to get to know the city and community you live in as well of meeting some fabulous people. Scotiabank Contact Photography Festival is also running for the entire month of May, so stay tuned for lots of exhibit posts! I'm also starting to do more Explore Toronto and Lifestyle Posts - I love being a tourist in my own city. 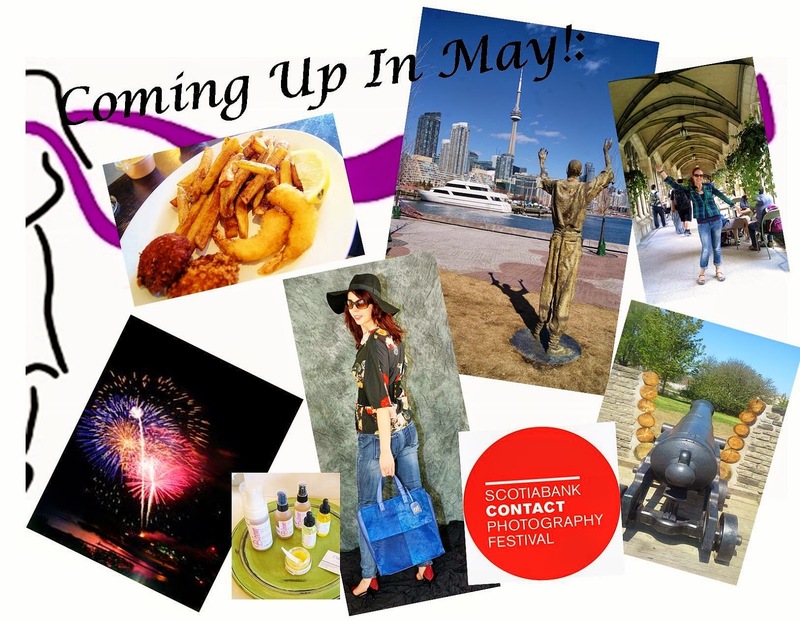 There are so many events and ideas scheduled for May, it's going to be an exciting month! Here's a preview of what's coming up and make sure you follow along on Twitter and Instagram for lots of updates! What do you have planned for May? I would love to know! P.s! : The Victoria Day long weekend is the unofficial start to the Canadian Summer season and is the third weekend in May! There will be lots of celebrations and fireworks all over Toronto and Canada!